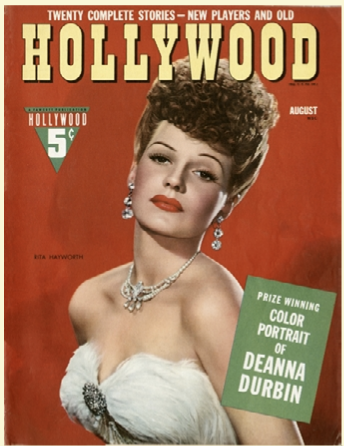 Anthony Slide's History of Movie Magazines Inspired The USC Library's Exhibition. There's a reason so many residents of tinsel town practice yoga. They need to stay flexible enough to pat themselves on the back. What other industry officially has an "awards season," (November through March), with more weeks than the long, hot summer? The website infoplease.com lists fourteen major movie prizes up for grabs every year. The Internet Movie Database caps it at a mere dozen, but no surprise here: less than half of the two lists overlap. And bear in mind these are the big trophies. Check out Wikipedia for a more complete list which tallies at a mind-boggling 79! Ever wonder how all of this self-congratulation got started? 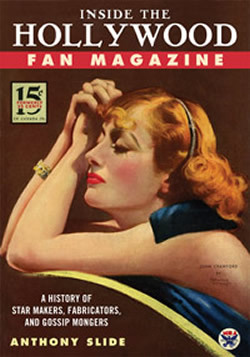 A new exhibit at the Doheny Memorial Library of the University of Southern California (USC) places the blame not on Mame, but on a single fan magazine. Screen Siren Rita Hayworth, As Gilda She "Put The Blame On Mame." The exhibition, Inside The Hollywood Fan Magazine: A History Of Star Makers, Fabricators and Gossip Mongers, documents the rise and fall of such titles as Motion Picture Story Magazine, Screenland, and the one that bears the shame of inspiring enough gaudy hardware to gold-plate Grauman's Chinese Theatre, Photoplay. These (according to the library's press release) "gateways to the fabled land of Hollywood," began burnishing the image of the dream factory way back in 1911, and in 1920 Photoplay invited readers to vote for the year's best film. 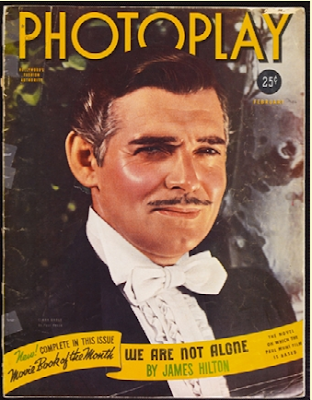 Clark Gable Starred In The Last Film To Win "The Photoplay Medal Of Honor,"
Per the pompous PR pronouncement for the Photoplay Medal Of Honor, the winning film was chosen for the "the ideals and motives governing its production... the worth of its dramatic message," blazing the trail for future fawning flacks to follow. Tiffany & Co. was tapped to create a golden medallion for the producer of the year's best movie, and the rest is metallurgy history. Who knew this (relatively) innocent goose would end up laying thousands of golden eggs? 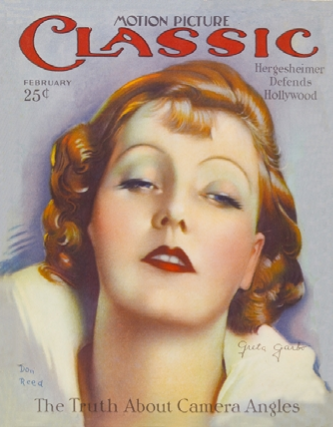 A Gorgeous Garbo Graced The Cover Of Motion Picture Classic in 1927. 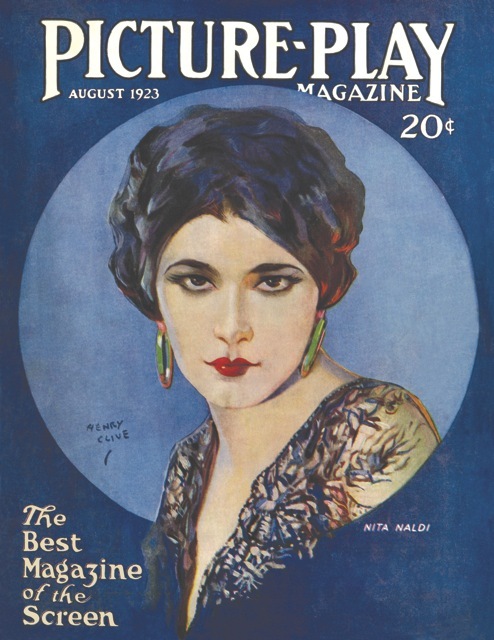 Photoplay gave its non-combat Medal of Honor for a mere 19 years, but the 10-karat floodgates had been opened. The magazine's award led to the establishment of the Academy Awards less than a decade later, and Oscar's been birthing babies ever since. Actors, directors, screenwriters, and cinematographers worldwide should remember to thank Photoplay's now-forgotten early editors, Julian Johnson and James R. Quirk, in their already endless acceptance speeches. 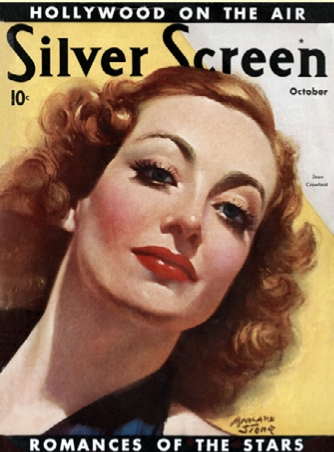 Joan Crawford In 1936, Long Before The Taint Of Mommie Dearest. Silent Star Nita Naldi Vamps For The Cover Of Picture-Play Magazine in 1923. Additional items in the exhibition were supplied by writer Anthony Slide. Already the author of 75 books on "The Biz", Slide has recently published the first full-length history of Hollywood fan-zines, which shares its name with the title of the library's show. The book notes that during the golden age of screen magazines, from 1920 to 1940, some of the nation's best writers and illustrators were employed to keep Hollywood's brightest stars shining. Unlike today's tabloids, these publications existed to burnish the dream factory's heavenly glow rather than dousing its glitter in the gutter. Those unable to visit the City of Angels for the show can still enjoy a virtual exhibition featuring two dozen of the fan magazines most glamorous covers.